The solution provides powerful means to protect Magento from spam and bots, which have been attacking every website on the internet. The warfare against bots isn't something new. 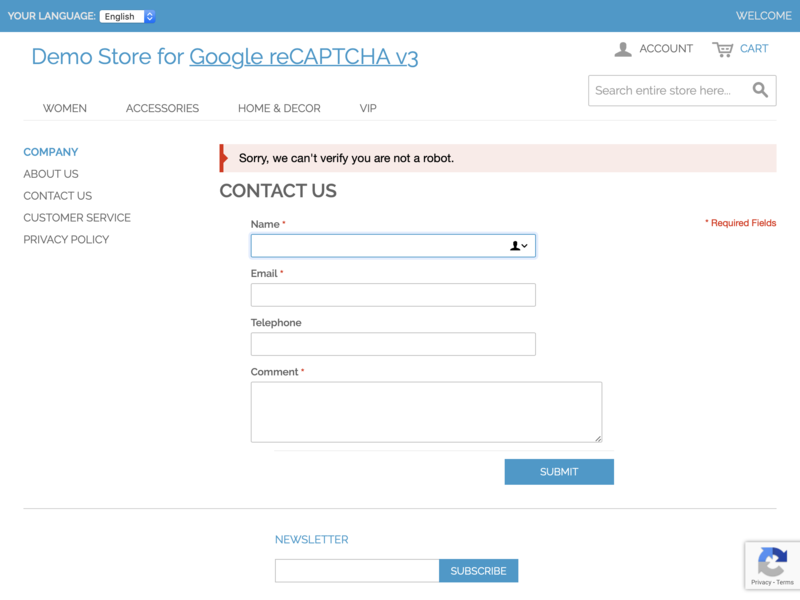 It started with a simple and irritating number-letter captcha and evolved into Google reCAPTCHA v2, which forced a suspicious user to select proper images. But the problem is spam tools have been changing accordingly. 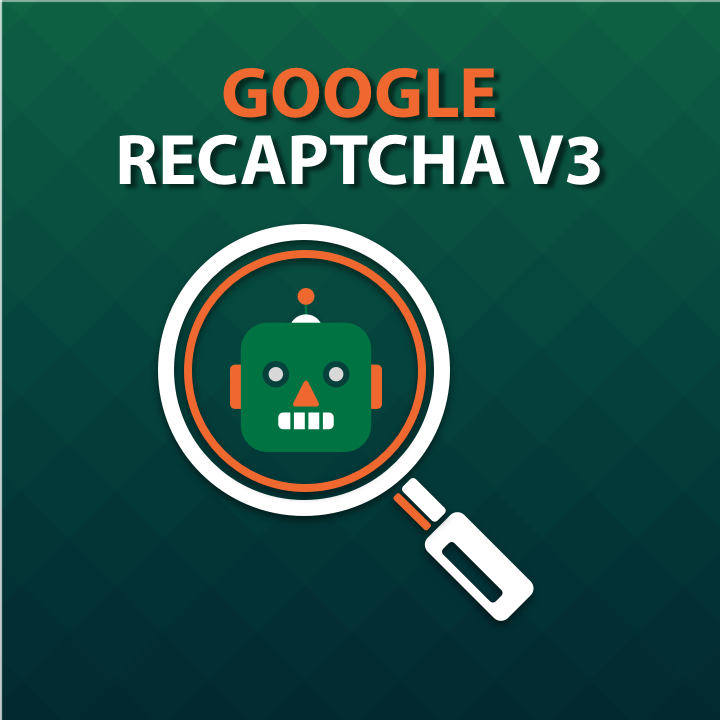 Today, Google, after a prolonged beta period, has finally released the reCAPTCHA v3 introducing a different protection approach. Surely, the operational principle of the new algorithm is classified, but it is evident that it is based on AI, user behavior statistics, and self-learning. 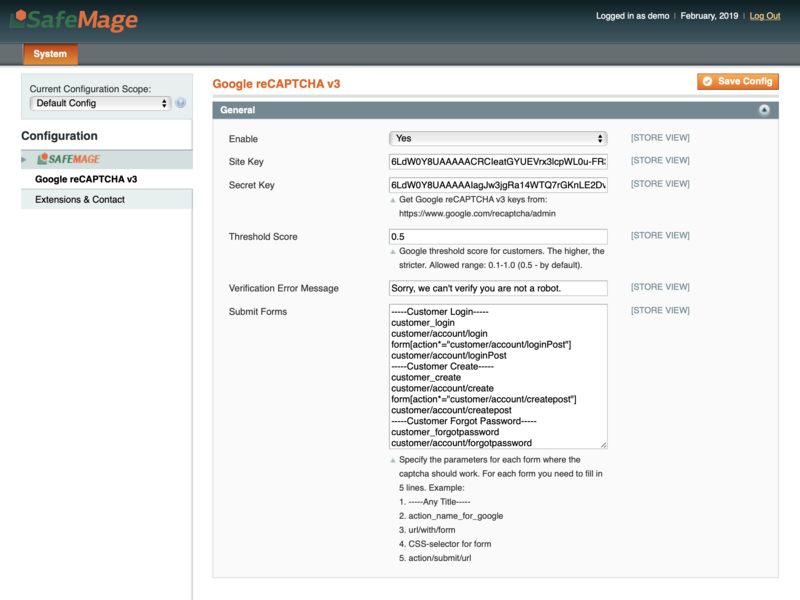 The first thing to do is to enter the Site and Secret Key generated for your domain(s) from Google Admin Console. Later on, this is where you can review your captcha statistics. The most critical and decisive setting in the module is Threshold Score. 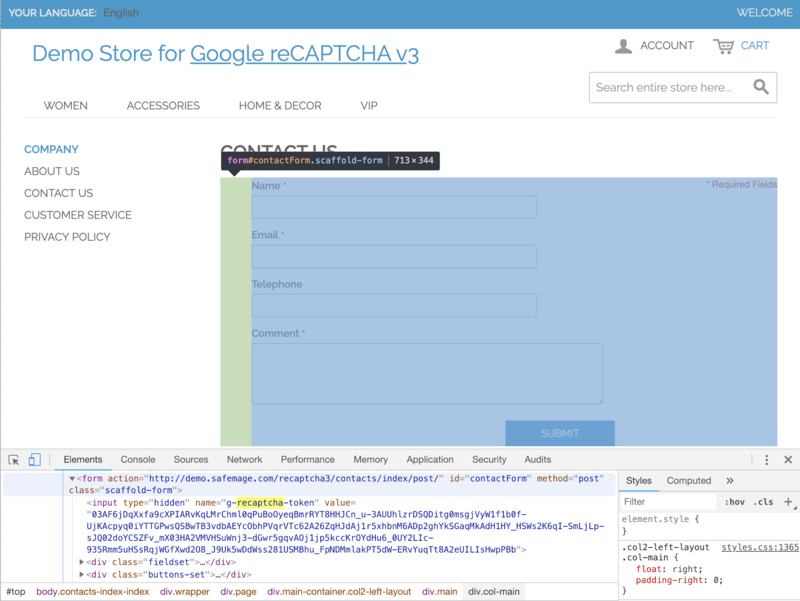 reCAPTCHA v3's peculiarity is it, as the result of user behavior analysis, returns the 'score' from 0.1 to 1.0. The higher the score, the more likely the given form is submitted by the human rather than a bot. If the score is less than the threshold score set by the admin user, the form in question won't be submitted, and the error message will appear. One of the characteristics of the extension is a quick setup of existing frontend submit forms in Magento. No need to edit the template files. By default, the 'Submit Forms' setting includes Magento standard forms like 'Customer Login,' 'Customer Create,' 'Customer Forgot Password,' 'Contacts,' and 'Checkout Save Billing.' With a modicum of skill, it is easy to add other forms according to the example provided. 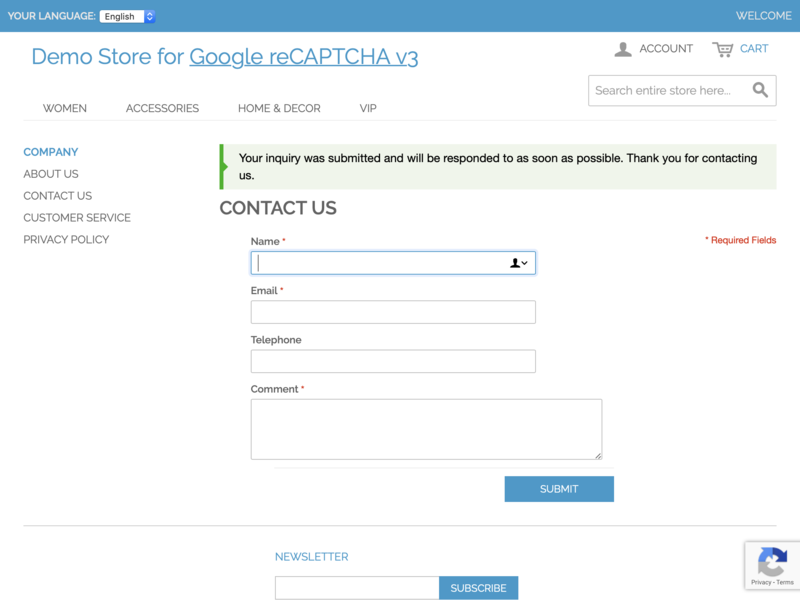 Hesitating about being able to configure the new reCAPTCHA properly, just check the 'Pro Installation' option and let us let us do the job.